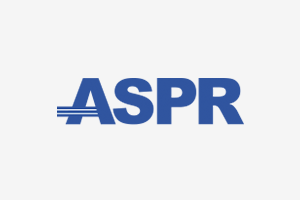 Dynamic Pro, Inc. (DPI), in response to significant impacts from Hurricanes Harvey, Irma, Jose, and Maria, has been providing critical support to the Department of Health and Human Services (HHS) Assistant Secretary for Preparedness and Response (ASPR). Working in collaboration with HHS staff to help address the immediate needs of survivors, DPI has been responsible for the rapid deployment, travel, and transportation of over 2,000 emergency medical responders to the areas of the country most affected by these weather systems. Working 12+ hour shifts around the clock, DPI staff have been invaluable in helping ASPR prepare the nation to respond to and recover from public health and medical disasters and emergencies. Dynamic Pro, Inc. (DPI) is a consulting firm with strong focus in management consulting, technology, and business services. We offer a multidisciplinary team that builds relationships, delivers quality products, and represents the client’s best interest. DPI’s approach addresses the three dimensions of change: People, Process, and Technology. We offer a comprehensive toolkit of approaches to help clients adapt to rapid changes in their mission environments. Our approach to program management helps high performing organizations integrate planning, implementation, and control activities. Learn more at https://www.ivyexec.com/company-profile/dynamic-pro-inc-careers.